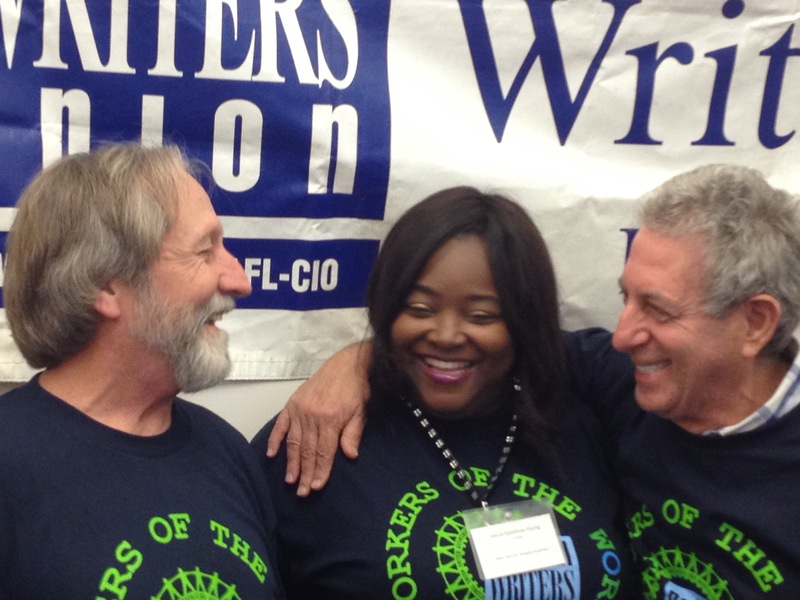 We may look back on 2015 as a watershed year for the NWU: We made difficult decisions and long-needed changes that could give our union a new lease on life. For example, this year the national office cut expenses by more than $60,000, while our delegates approved a modest dues increase for the first time in more than a decade, taking a huge bite out of our $100,000 annual deficit. In addition, at this years’ Delegate Assembly, we voted to hold the DA every three years instead of every two, agreeing to rely more upon technology to communicate to further reduce our spending. We’ve developed an additional income stream by providing O-1 Visa peer review letters for foreign writers of extraordinary ability who have job offers in the US. We launched our new website, a two-year project, which is drawing more visitors and new members, along with writers applying for the IFJ press pass. Our investment in our database upgrades has streamlined office operations. We continue to service our members with contract advice; grievance assistance; press-pass access; and copyright reform advocacy and protection. We’re also working to establish a base-pay rate for digital writers, working with both Wordrates and WhoPaysWriters websites. Along with our allies in the American Society of Journalists and Authors, and Science Fiction Fantasy Writers of America, we’re continuing to lobby for copyright reform that protects authors. And we have all joined forces with the Authors Guild and other writers’ groups on the Fair Contract Initiative, seeking 50-percent royalties on e-books for writers—a cause we’ve been fighting for years. In New York City, we’re supporting the Freelance Union’s Payer Protection legislation, which will soon be introduced in the New York City Council. The proposed law would require timely payment to all contract workers, as well as impose severe penalties on publishers for non-payment. These accomplishments reflect a stronger union, a more engaged membership, and collective, diverse leadership—all functioning with unity and purpose. We’re developing more leaders within our chapters and divisions, as well as at the national level, preparing ourselves to meet the challenges ahead. On behalf of all of our officers and staff, I wish you all a happy and healthy holiday season, and a year of progress in 2016. PFUJ secretary general; GM Jamaili, president of the Karachi union; Shaeez Ahmed, president of the Rawalpindi/Islamabad union (RIUJ); and Muhammad Ishfaque, executive committee member. With more than 16,000 members, PFUJ is one of the oldest unions in Pakistan. They’re on the front lines of the battle to end impunity against journalists, more than 100 of whom have been killed there in the past 10 years. Many more have been attacked, threatened or arrested. 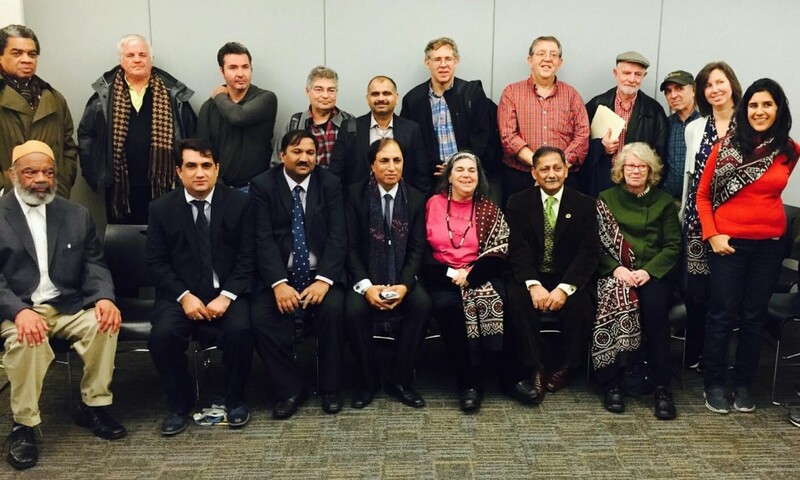 After an afternoon of meetings on November 12, I took our Pakistani colleagues to a reception at the Cornell University Workers Institute, where they met Union Leadership Institute alumni and New York State labor movement leaders. The next day we hosted a forum and presentation by PFUJ, followed by a lively Q&A. The spirit of international solidarity and unity between Muslims and non-Muslims stood in sharp contrast to the terrorist attacks in Paris, which happened the same day. The delegation also visited Washington, DC, where Yusuf was interviewed on Voice of America radio and TV. 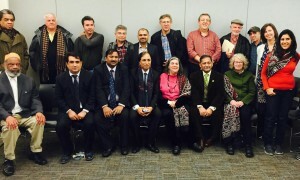 Through the PFUJ delegation, we met Pakistani journalists working in New York and Washington, DC (at VOA). We welcome them to join NWU, to strengthen our union and expand our international ties.